I don’t know if you’ve heard, but Aquaman is doing pretty well at the box office at the moment. In fact, it’s doing so well, it’s become DC’s highest grossing film ever, knocking The Dark Knight Rises from the top spot, and making a whopping $887 million (at time of writing) in the process. The new blockbuster had an opening weekend of $72.5 million in the US alone, and three weeks later, the film shows little sign of slowing down. 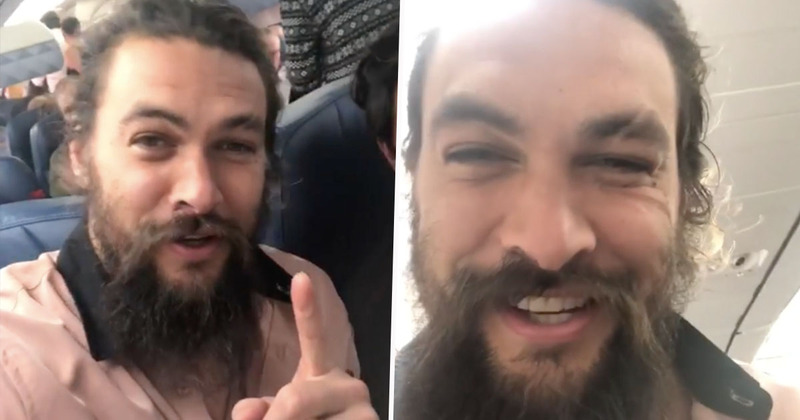 Jason Momoa, who plays the titular character, recently took to social media to thank fans and viewers for making Aquaman the success it is, especially in such a short amount of time. I just want to say aloha, I love you, to all my fans and friends, and to everyone who has supported Aquaman, the number one movie in the world. I’m very proud of this movie, and it’s better the second time, so enjoy. And if you haven’t seen it two times, please do. Aquaman looks as though it’s on track to make a humongous $900 million at the box office. When it does, it’ll pass Spider-Man 3 to become the fifth-biggest solo superhero film ever, behind The Dark Knight, The Dark Knight Rises, Iron Man 3, and Black Panther, according to Forbes. In the film, Momoa plays Arthur Curry, a human/Atlantean prince, who’s torn between the human world and the underwater world, when his brother sparks a dangerous war. Despite some disheartening reviews, Aquaman has won favour with audiences around the world, and its ‘audience score’ far outweighs its ‘critical score’ on Rotten Tomatoes. Could this be because – as some people have suggested – fans are flocking to the cinema to see the mighty Momoa in all his bare-chested glory?